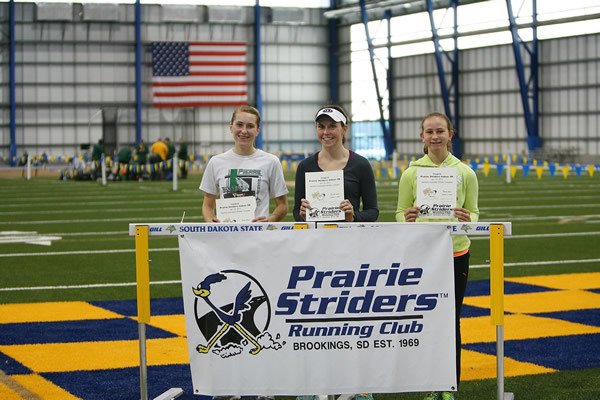 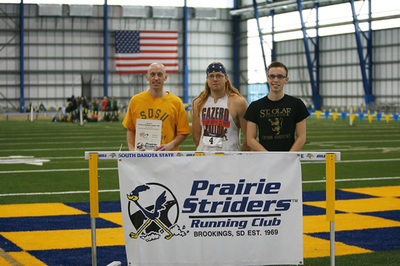 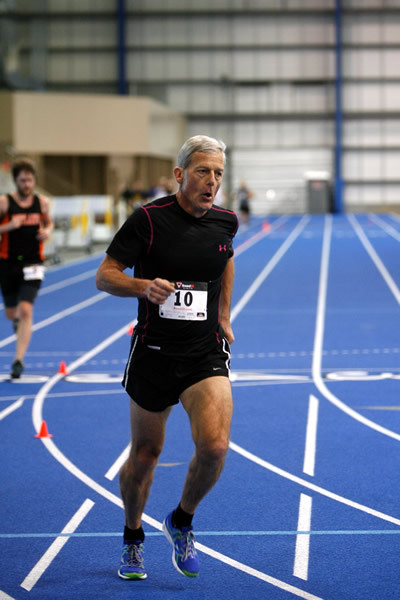 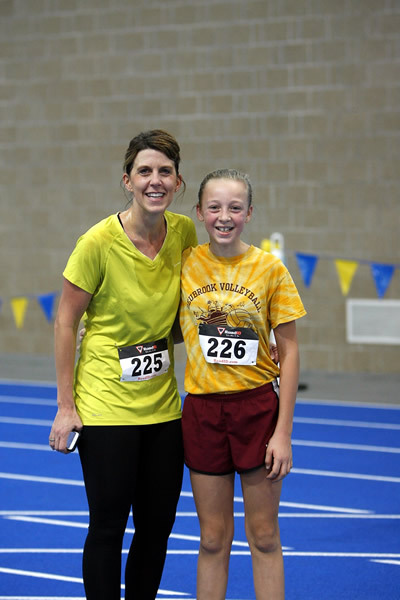 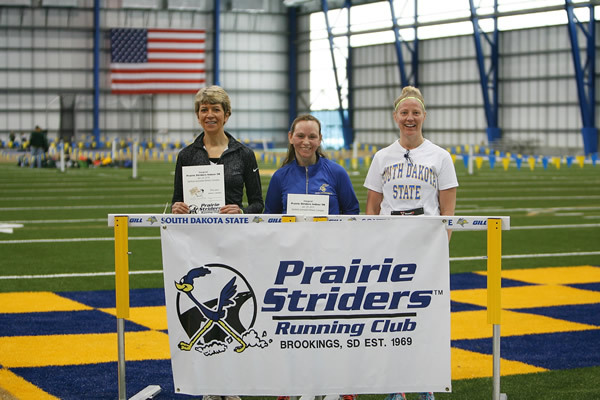 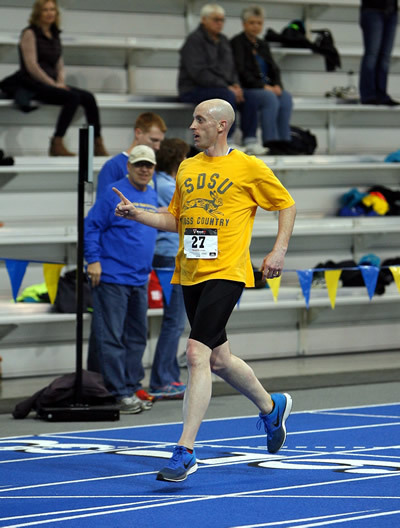 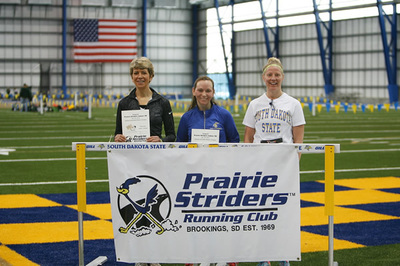 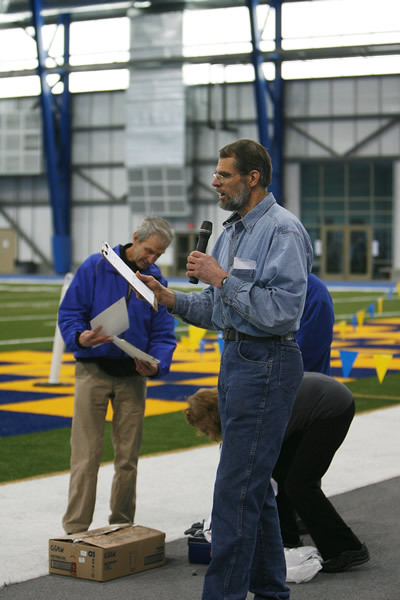 The fifth annual Prairie Striders Indoors 5K represents a rare chance to race indoors, using the SDSU track at the Sanford/Jackrabbit Athletic Complex. 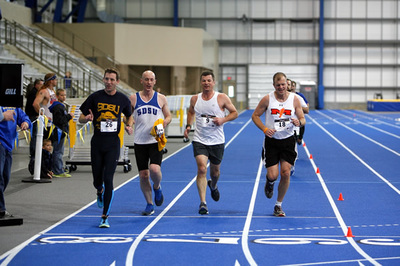 Entries will be limited to the first 100 entries. The race will be run in two heats — one at 8:30 a.m. for those planning to finish in 24 minutes or less and the other at 9 a.m.
DON'T WAIT! Register Online Now, save money and reserve your place in the race. 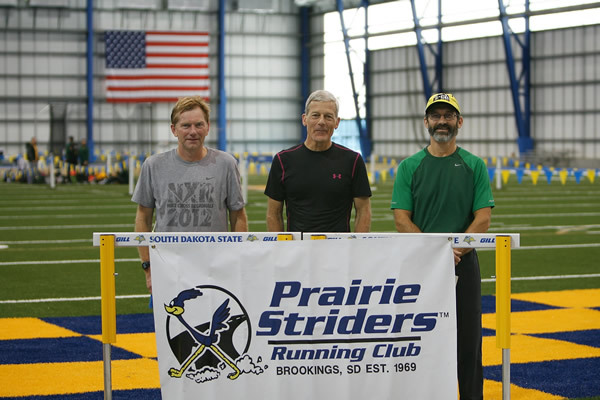 If the field hasn't filled, there will be limited race day entries taken at the door. 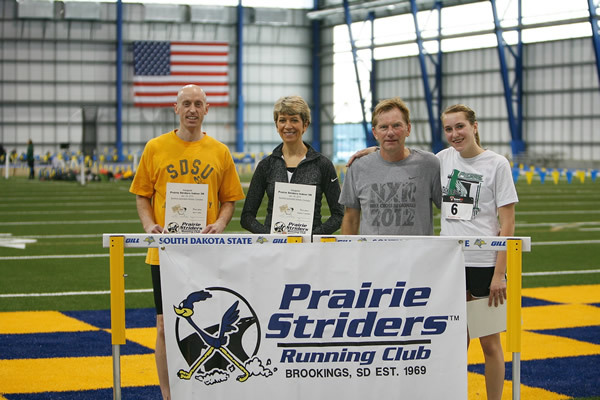 Participants can choose between a short-sleeved Prairie Striders performance shirt or Prairie Striders socks. 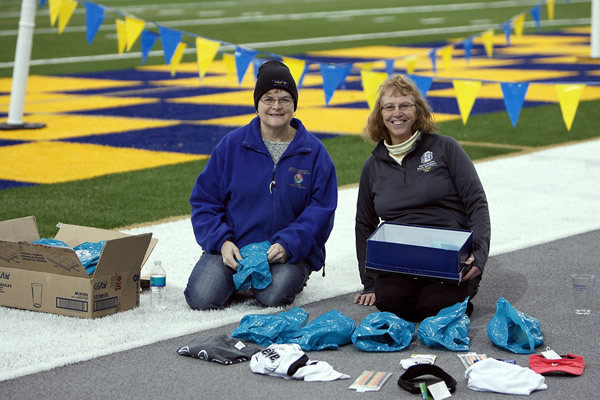 Packet pickup is immediately preceding the race. 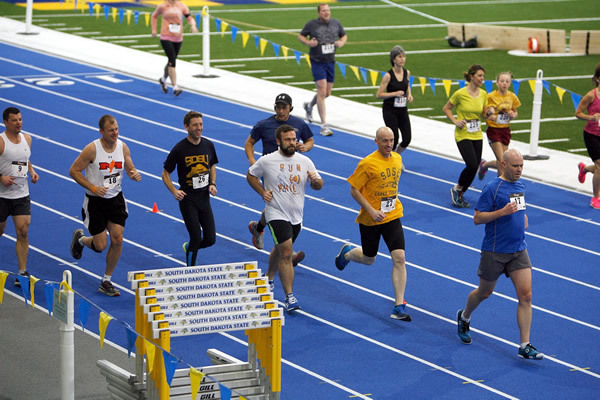 Doors open at 7:30 a.m.
All levels of runners are welcome as the race will have two heats — 8:30 a.m. for those planning to run in 24 minutes or less and the other at 9 a.m. 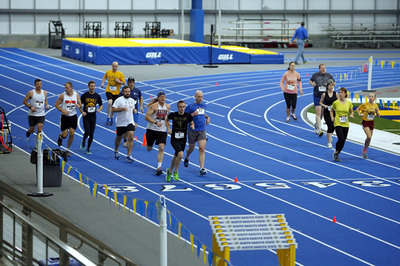 Runners will need to track their laps (16 2/3). 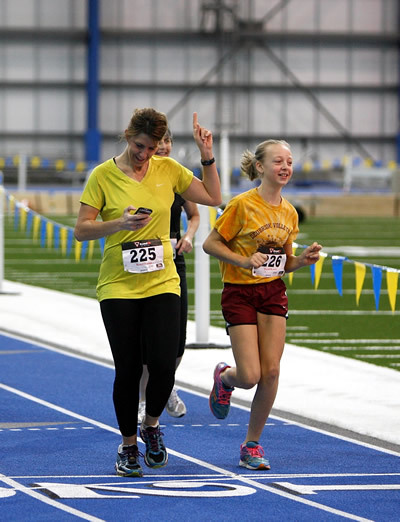 Lap counters will only be able to track the leaders, so runners may want to use a clicker or a function on their watch or smartphone to avoid confusion. 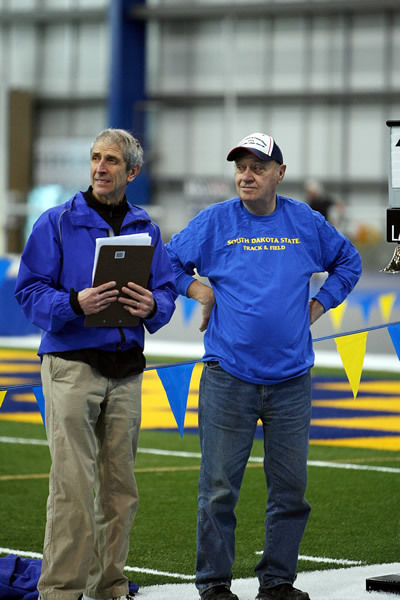 Start Time: 8:30 and 9 a.m. Registration: Register online at AllSportCentral.com. 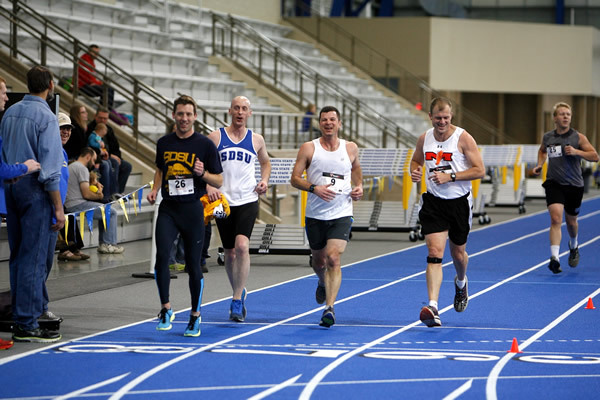 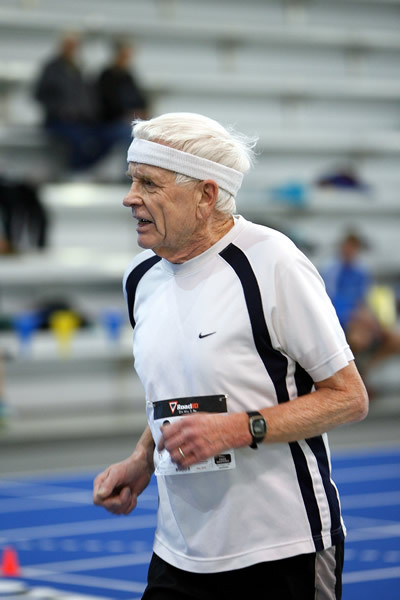 In–person registration begins at 7:30 a.m. Jan. 21, if the 100-runner field has not filled. Cost: $20 by Jan. 17; $25 thereafter. Location: Sanford-Jackrabbit Athletic Complex on the north end of the SDSU campus. Awards: Recognition given to the top male and top female finishers in the Open (19+) and Masters (40+) divisions. 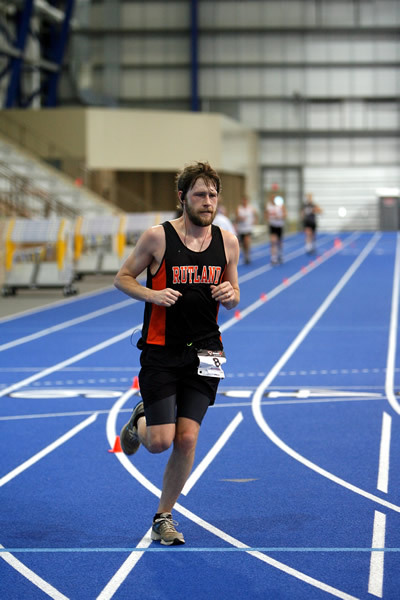 Race Course: Run hard, turn left. Race Director(s): Dave Graves and Jay Larsen, run@prairiestriders.net, 627-5718.